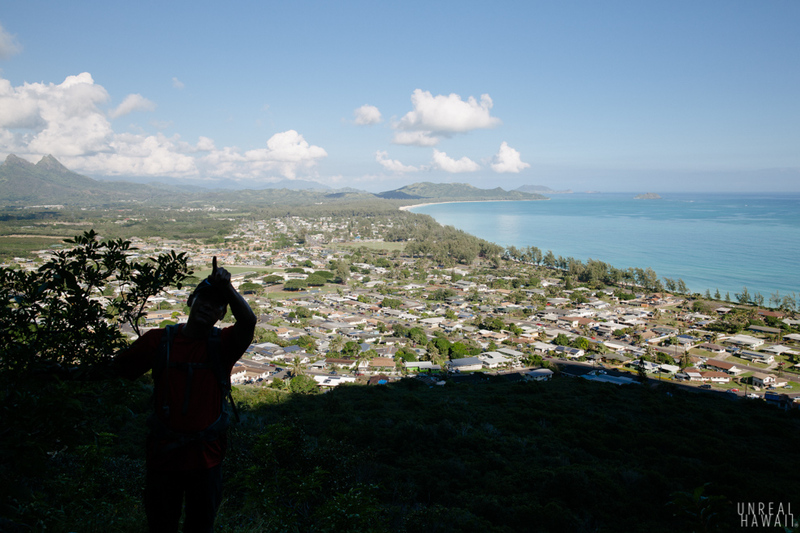 This hike took us up a lesser known ridge on Oahu’s east (or windward) side. 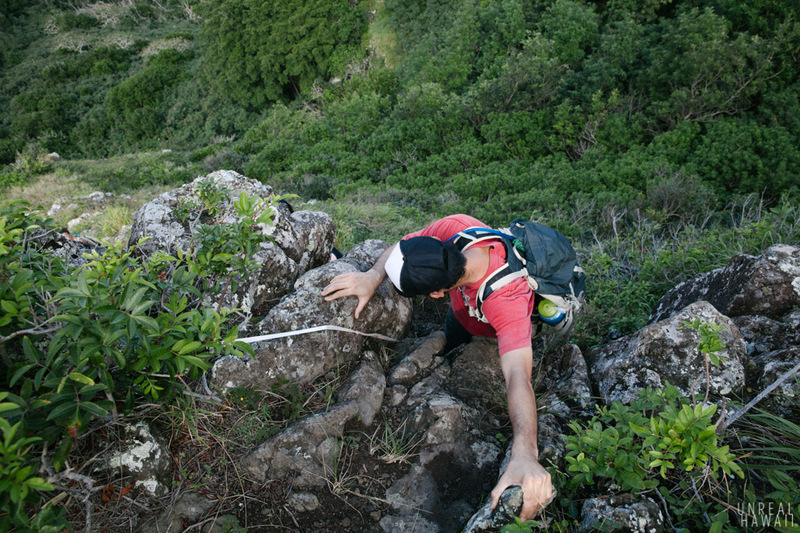 Windward ridges are notoriously steep. 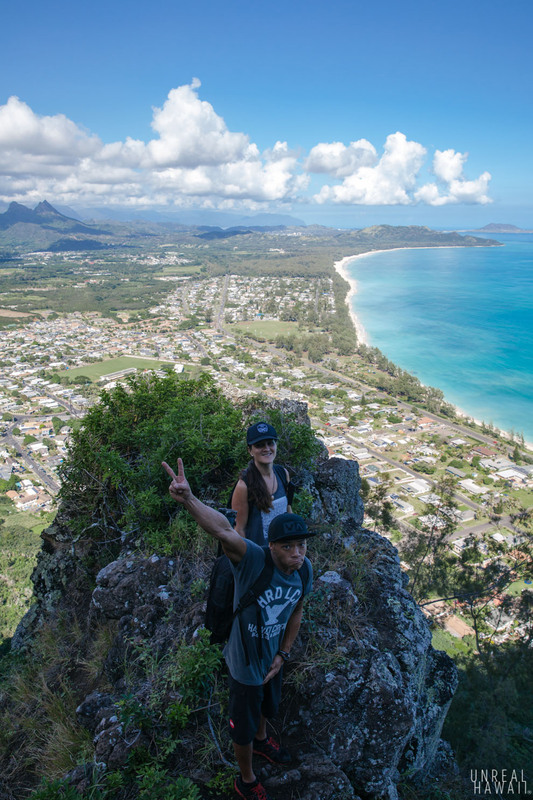 We ended up along the summit of the Koolaus. 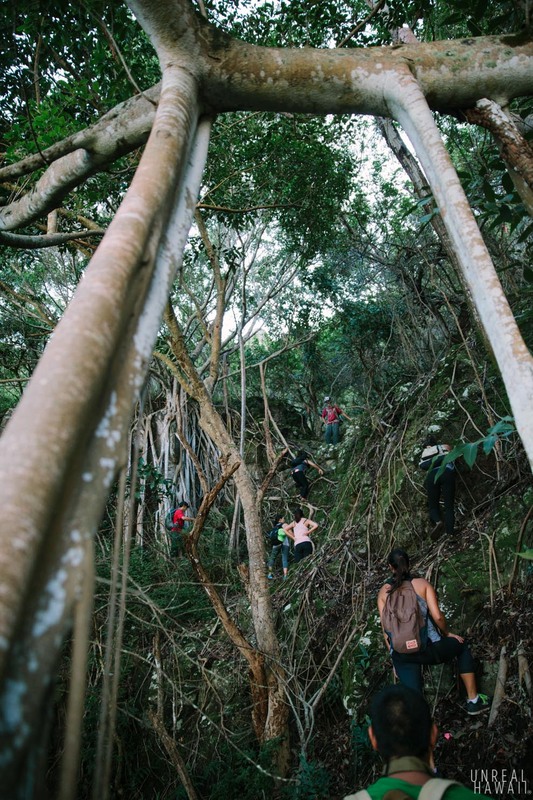 There are many ways to get down, but we chose a return route that would take us back to the same place we began. 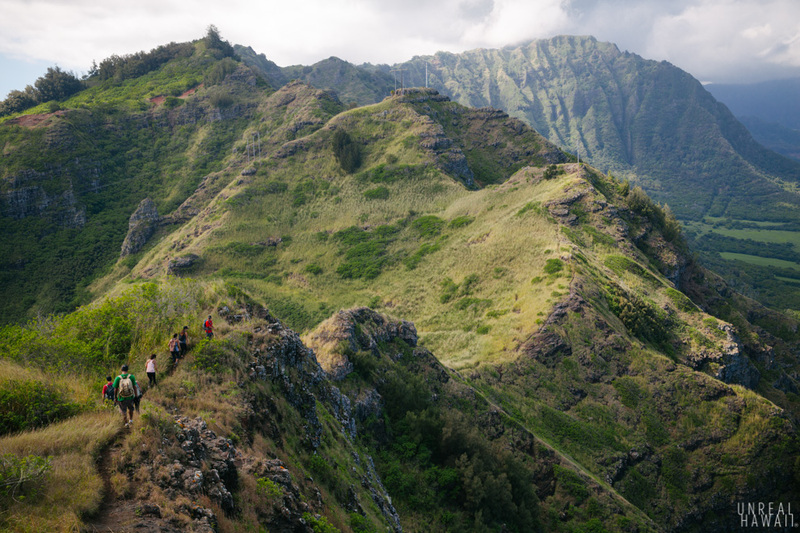 With so many ridges stemming off the Koolaus (like ribs off a spine) there are countless day hikes you can create. 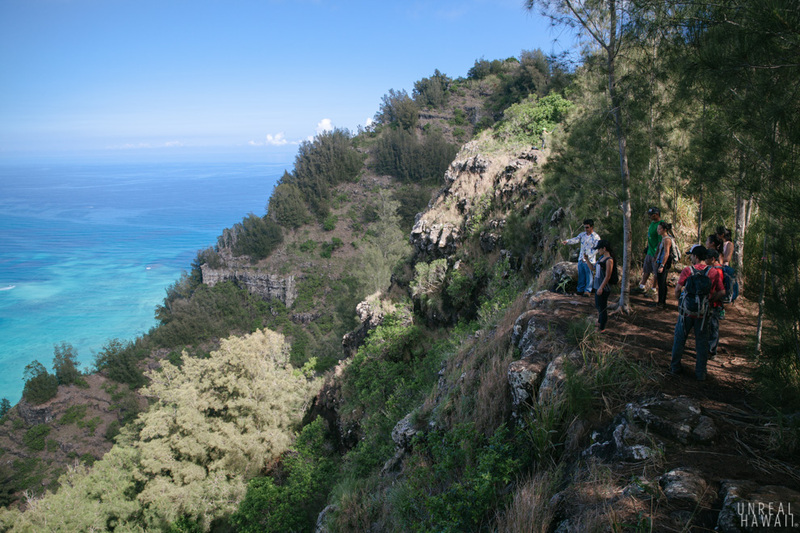 You can pick a ridge that takes you up to the Koolau summit, traverse the summit to another ridge, and hike it back down to sea level. Sometimes you’ll need to stage a car at your end-point so you’ll have a way to get back to the car at the trailhead and sometimes you can find a route that forms a loop. 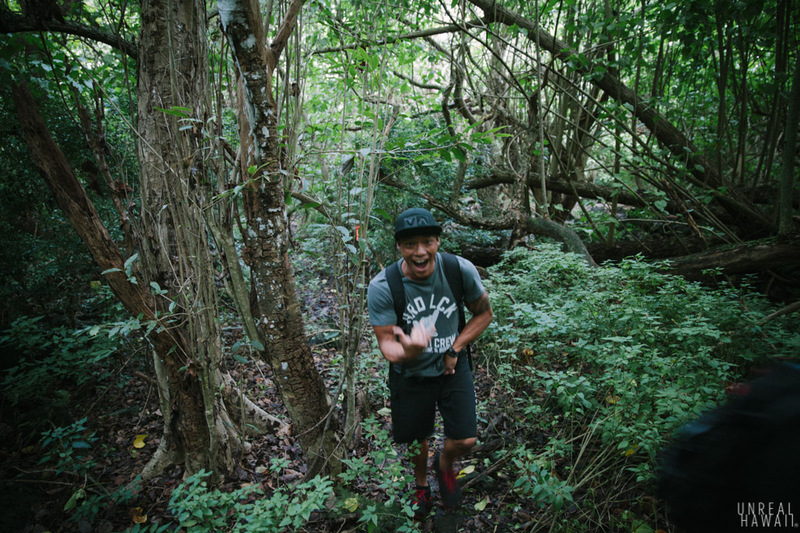 That’s what we did on this hike. 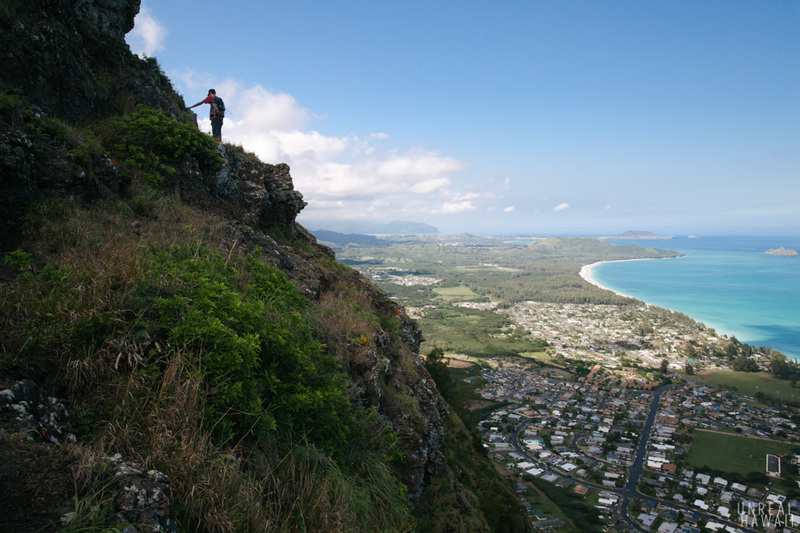 We created a loop using two lesser known windward ridges on Oahu’s Koolaus. 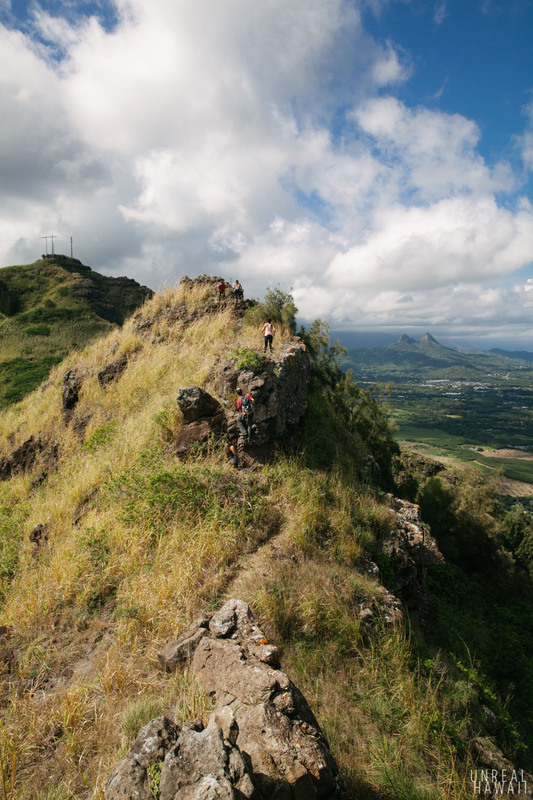 These windward ridges tend to be steeper and if you don’t know exactly where you’re going, they can get treacherous. 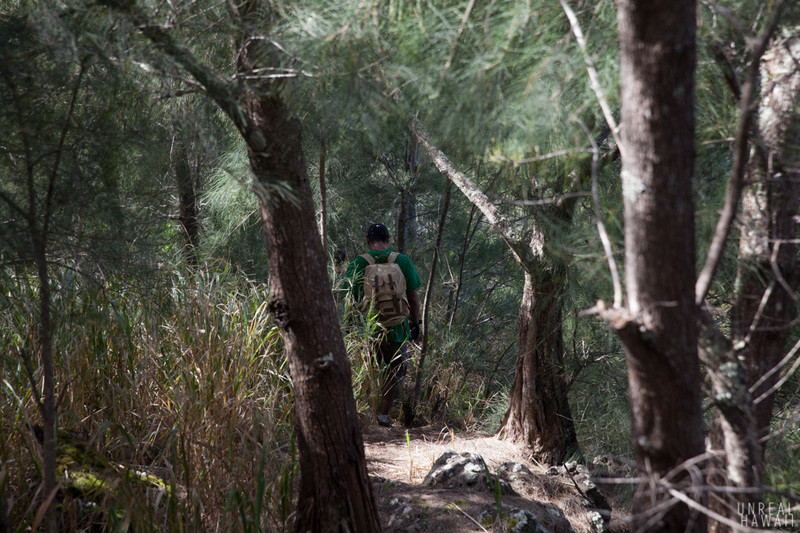 Plus the trailheads can be difficult to find and the trails might be hard to follow. Luckily, my friends Baron and Josh knew the way. 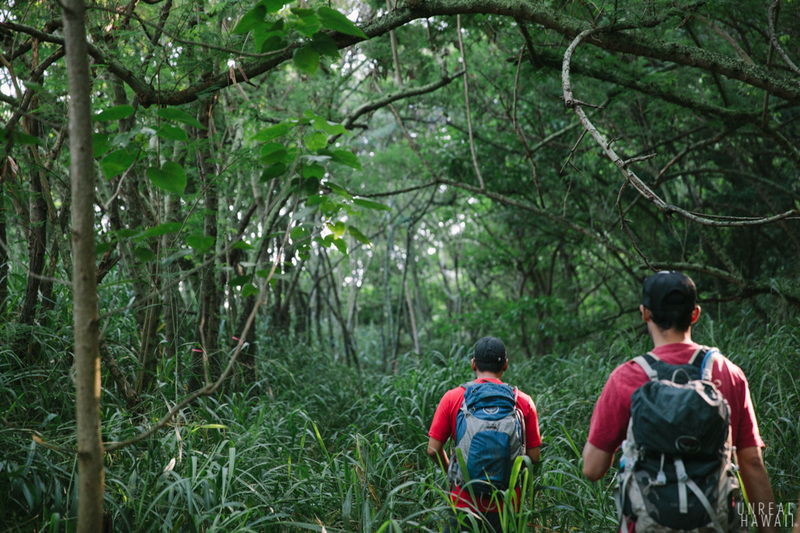 We followed Baron and Josh through waist high shrubbery as we entered the forest. 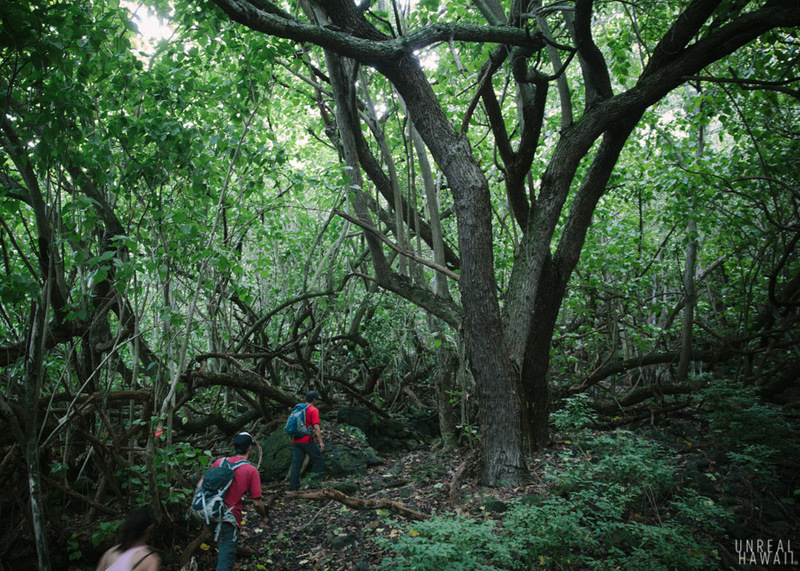 We had to navigate through this dense forest to get to the base of the Koolaus. I turned around and said what’s up to Shaun. This was my first time hiking with him and his hiking buddies. 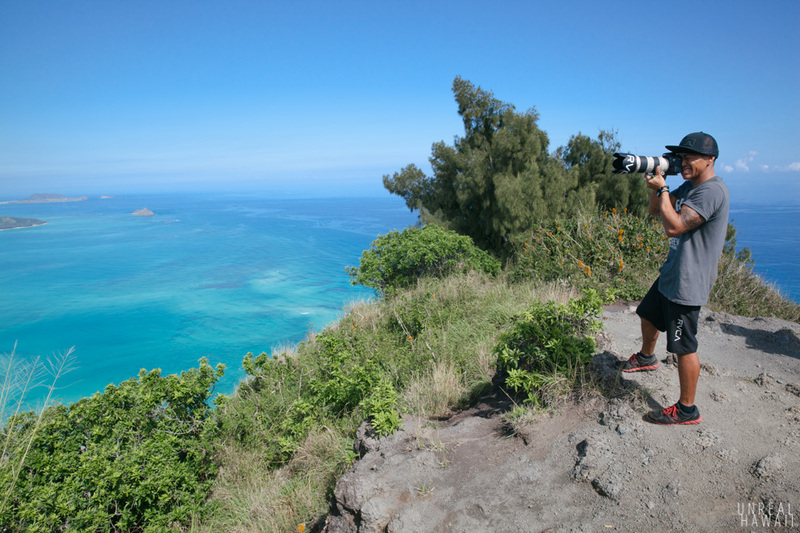 If you’re on Instagram, you might know Shaun as @2scoopsofaloha. This guy takes some killer photos and he recently started a website called FuntographyHI (www.funtographyhi.com). I’ll have more info for you on that project coming soon. 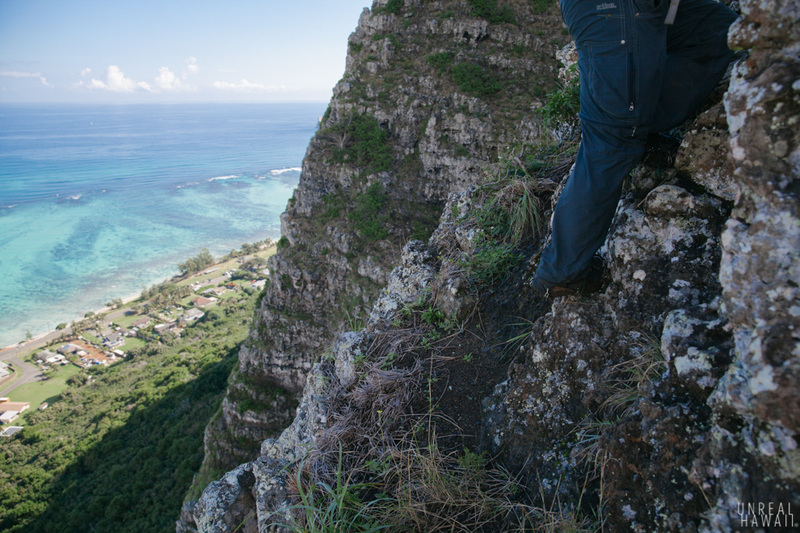 This bit of rock scrambling warmed us up for the windward ridge we were about to take on. 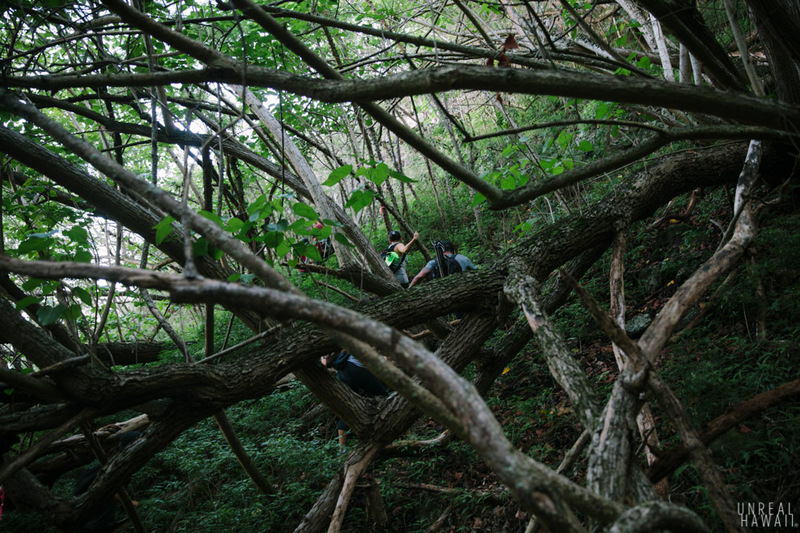 Straddling over and ducking under branches would limber us up as well. 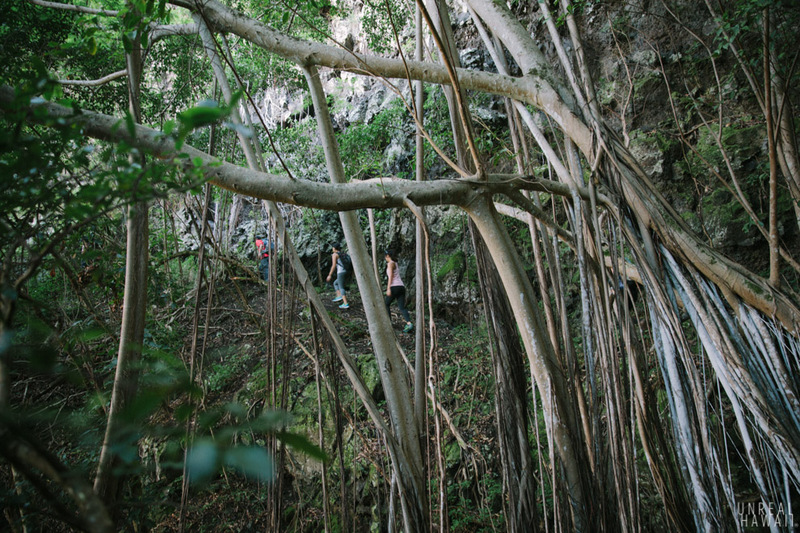 Banyan roots conveniently formed a ladder. Then, a clearing. We were above the town and could see the steep windward ridge we would ascend. 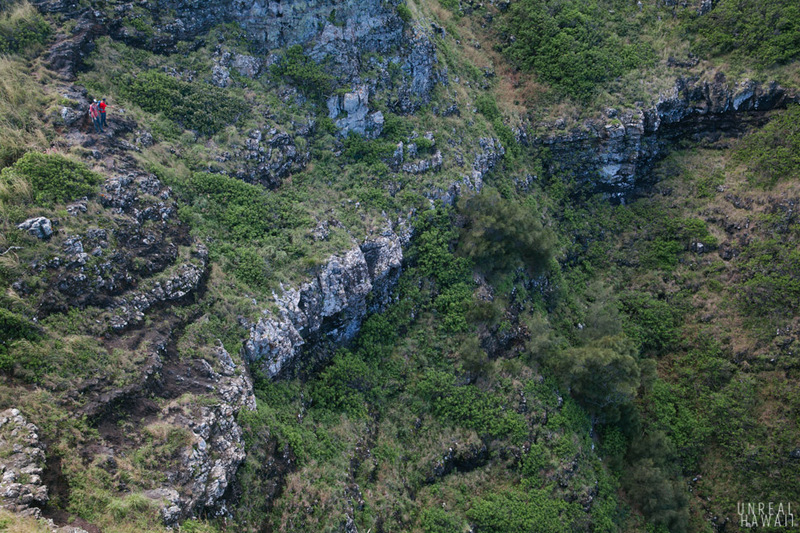 If you know the way, it’s possible to safely (relatively speaking) zig-zag your way up this mountain. 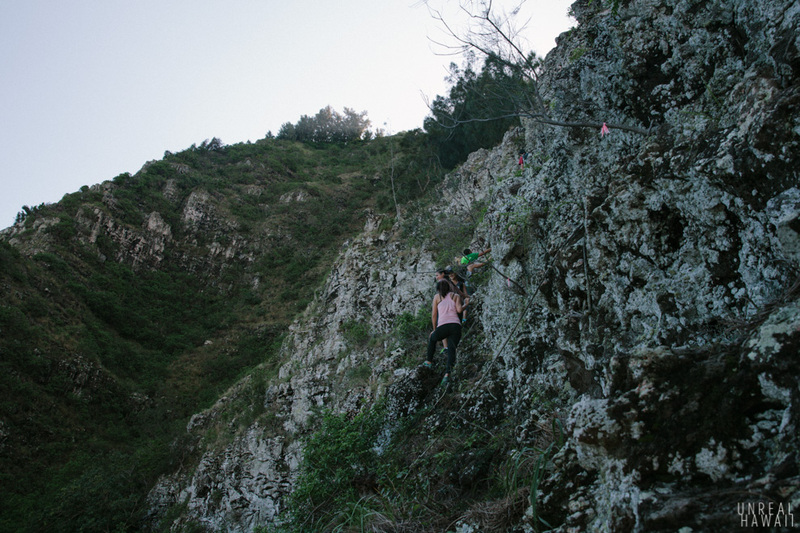 If you don’t know the way, you might suddenly find yourself on a rock wall with a sheer drop below you and vertical “trail” above you. 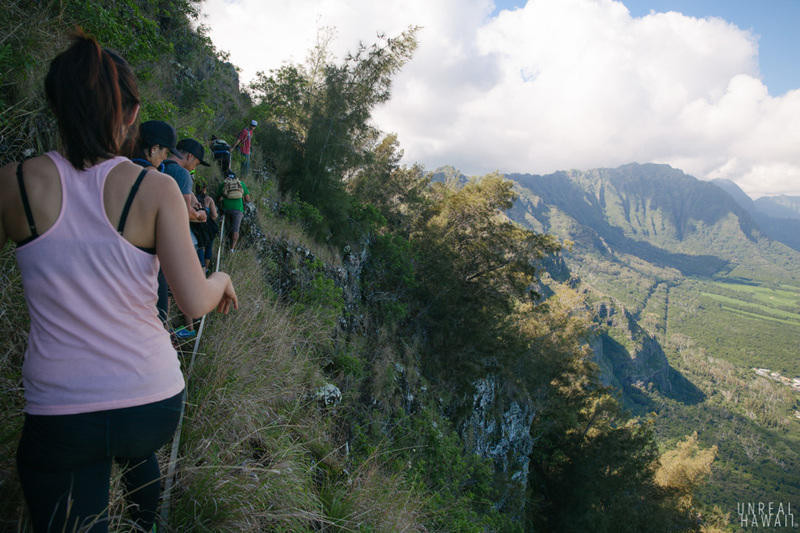 Since the trail is steep, we gained elevation fast. Lani and Kale (@elak808) emerged from the forest. 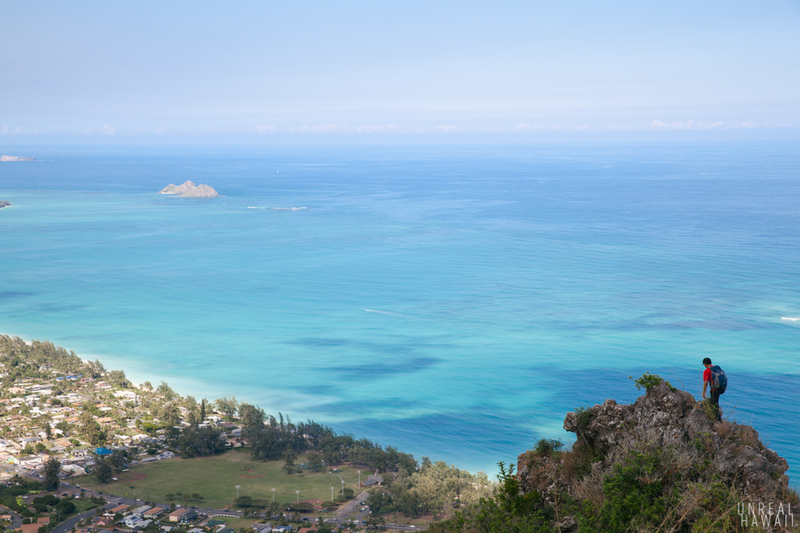 Looking out to the ocean there were many perches from which to admire the view of windward Oahu. Looking toward the mountain on the other hand, all you see are butts. We continued our ascent up this steep ridge. This part of the hike is pretty much all rock scrambling. The weather was perfect and the views impeccable. 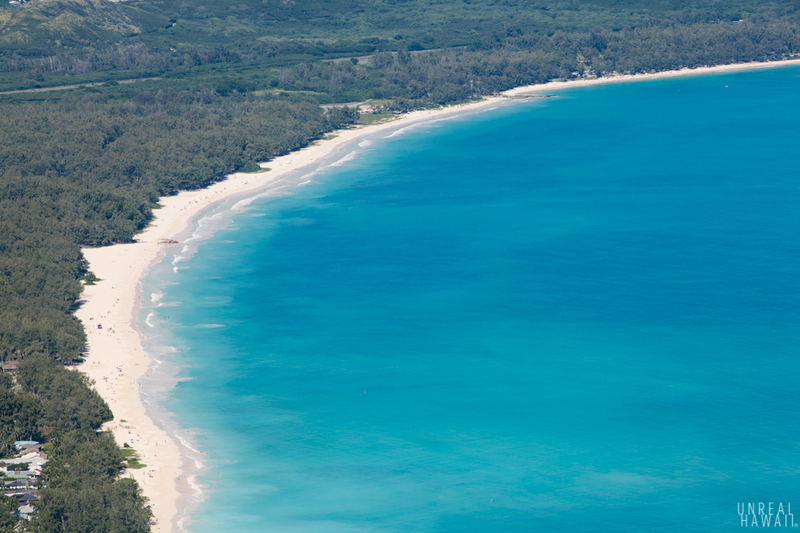 A view like this reminds us that we’re lucky to live in Hawaii. I continued to geek out on views of the mountains. 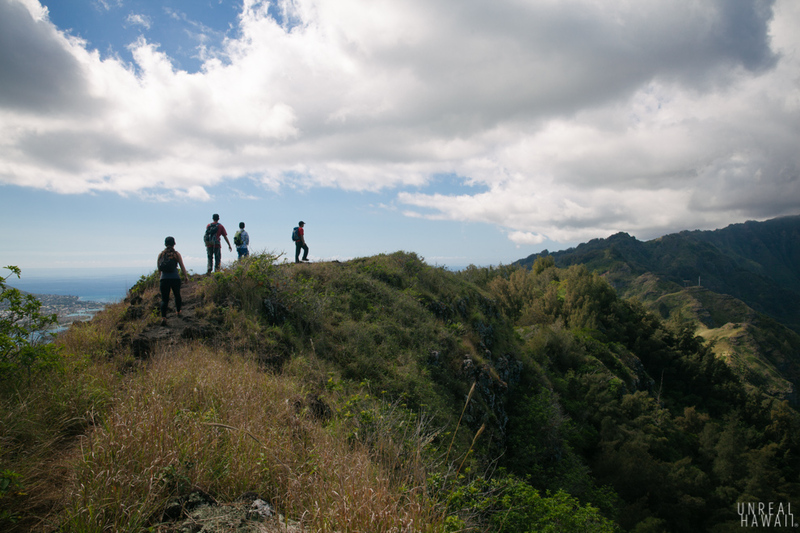 On this hike I got to hang out with some folks who’s photography I’ve been following for some time now. You can check them out on Instagram at: @karynahi and @2scoopsofaloha. As we continued our climb, I paused to turn around. I looked down to see if anyone was looking up and checking out my glutes. No one was looking unfortunately. 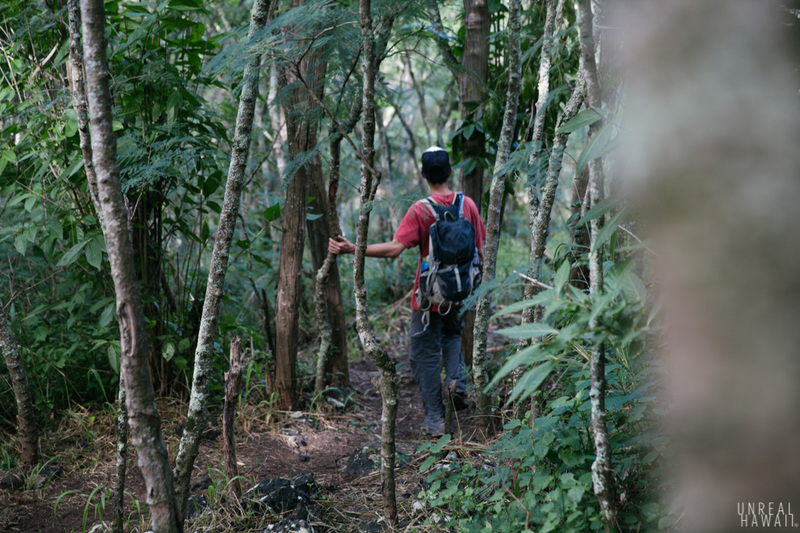 We reached a section where we had to traverse a gap via a small trail of pushed down grass. An strip of webbing was available but I didn’t trust it. This section would be super dangerous if it were raining. 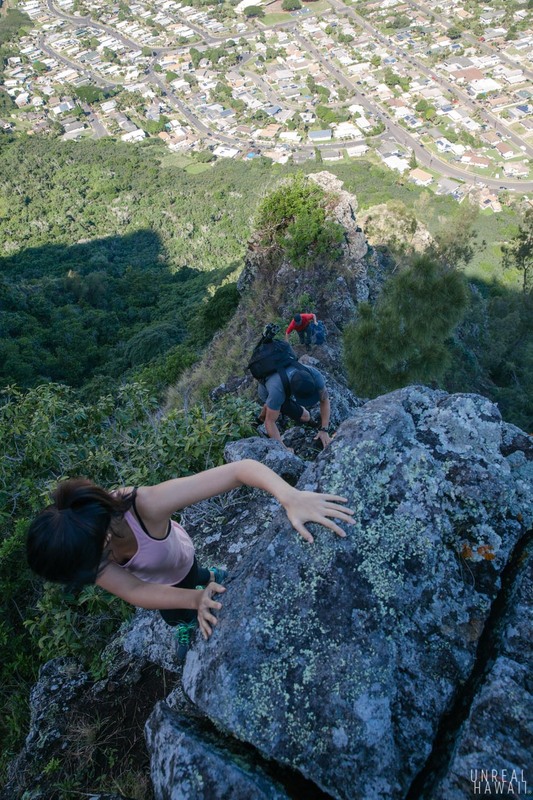 Eventually we reached the Koolau summit. We were hot, sweaty and the ocean never looked more inviting. 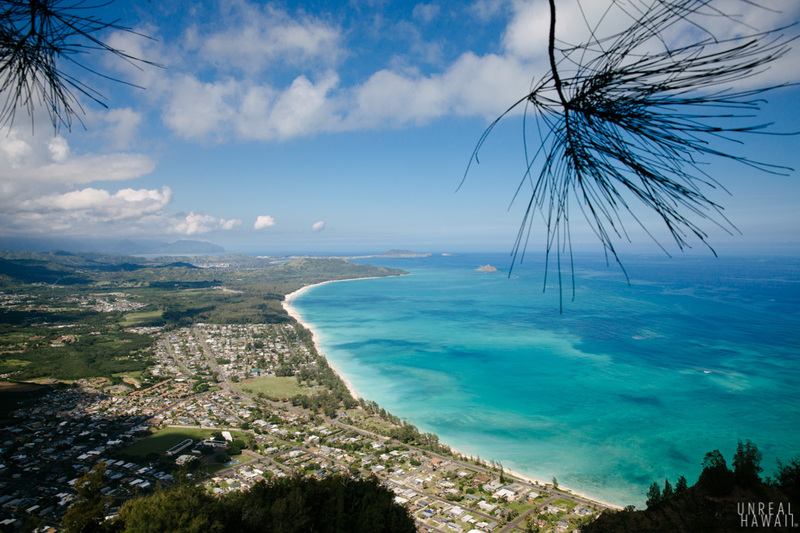 Too bad were were over a thousand feet above it. 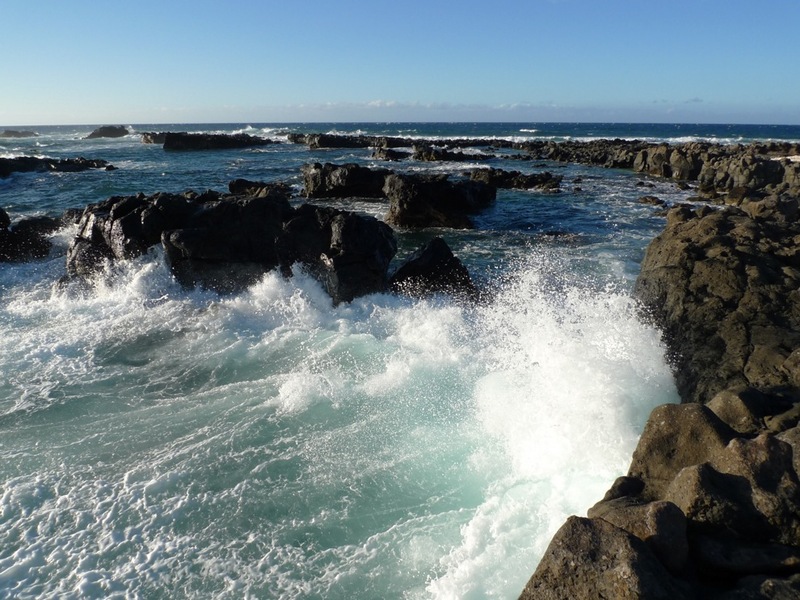 We could see breaking waves below us. 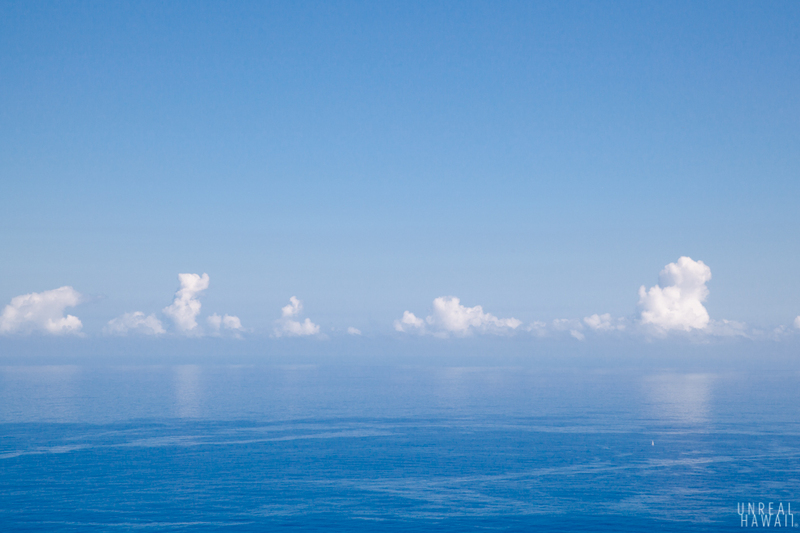 With the clouds reflecting off the water along the horizon, the ocean looked like an infinity pool. After a 30 minute break to eat snacks and talk story we carried on. 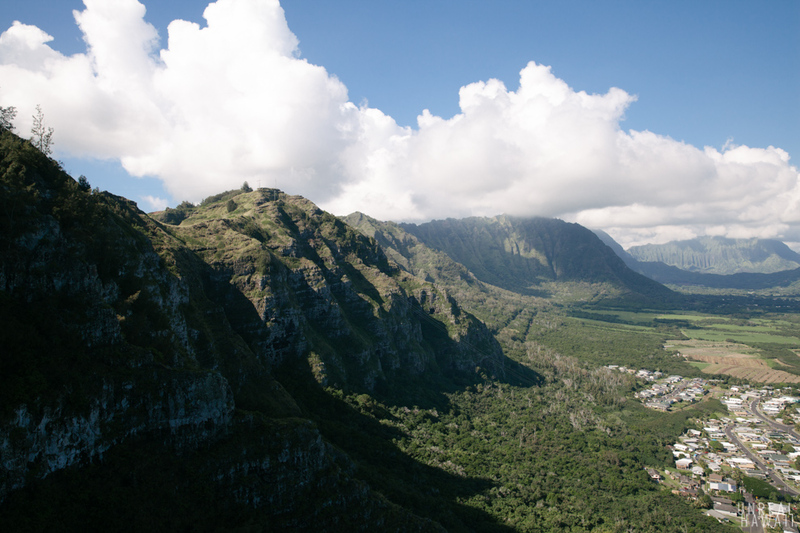 This section of our hike would be along the southeast section of the Koolau summit. The trail here is well defined. There are some shaded sections but most of it is exposed. 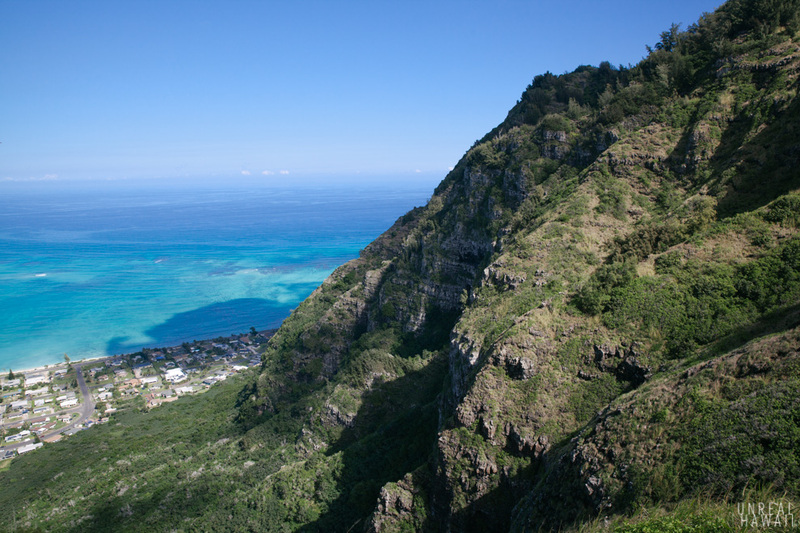 These constant ocean views make this section of the Koolaus one of my favorite places to hike. 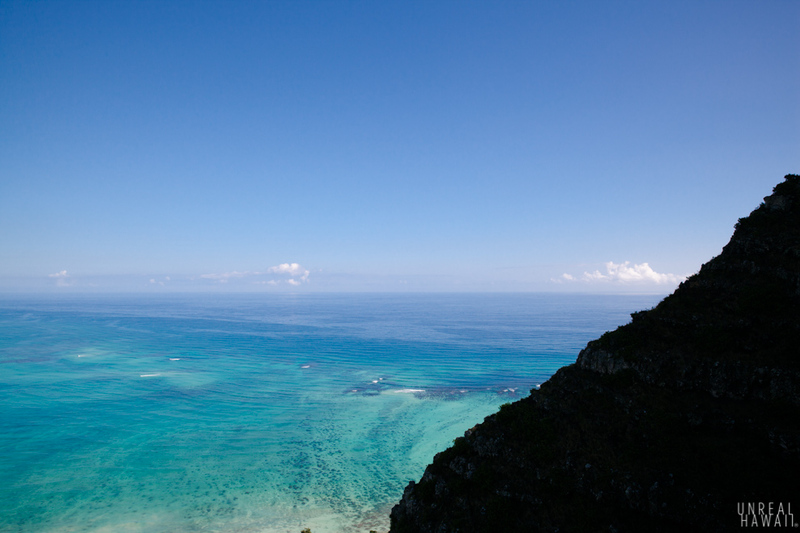 After a long week of work sitting at a desk, seeing the ocean (or swimming in it) makes everything better. As I type this I’m looking at this photo. It’s Sunday night and I have a long week of work ahead of me tomorrow. Somehow just looking at this photo is relaxing me. At certain points we were able to look down and see the ridge we just climbed. From here on, the hiking would be less intense. 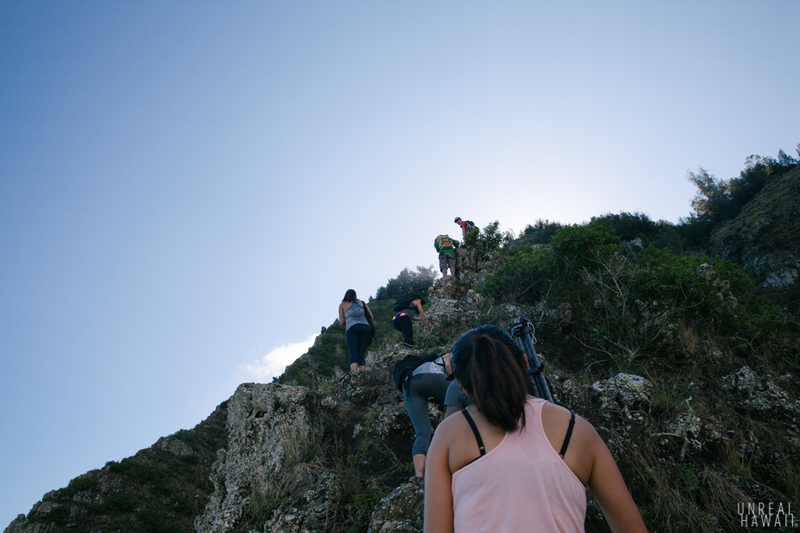 It felt like a casual stroll compared to our initial ascent. 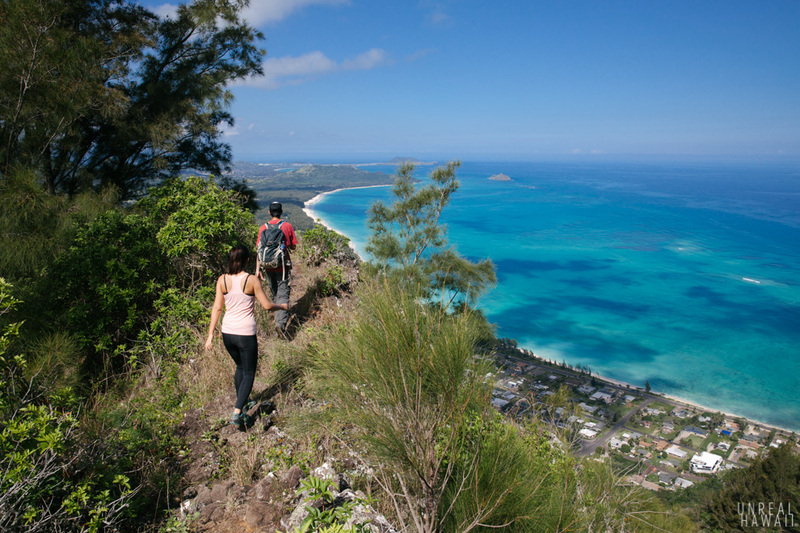 A casual stroll with a grand view. 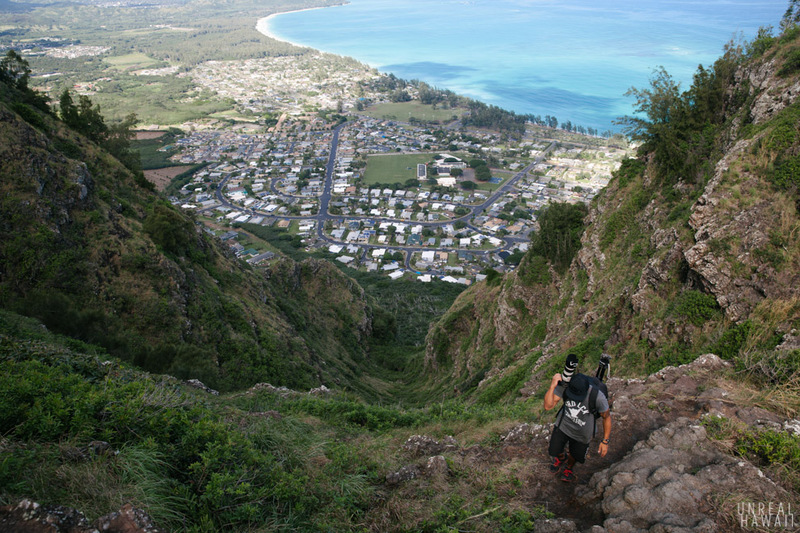 This is still a tricky trail though that should only be attempted by the sure-footed and in-shape Hawaii hiker. And remember, there’s a lot of sun exposure up here. On a hot day, I like to bring extra water and a hat. 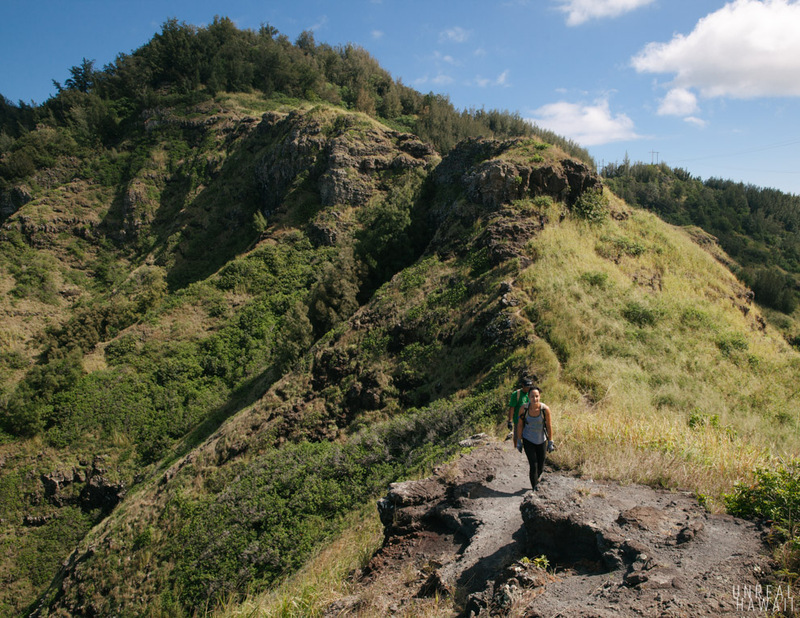 Kale and Alana (@alanap13) continued along this picturesque trail. From this angle you can see the steepness of windward ridges. 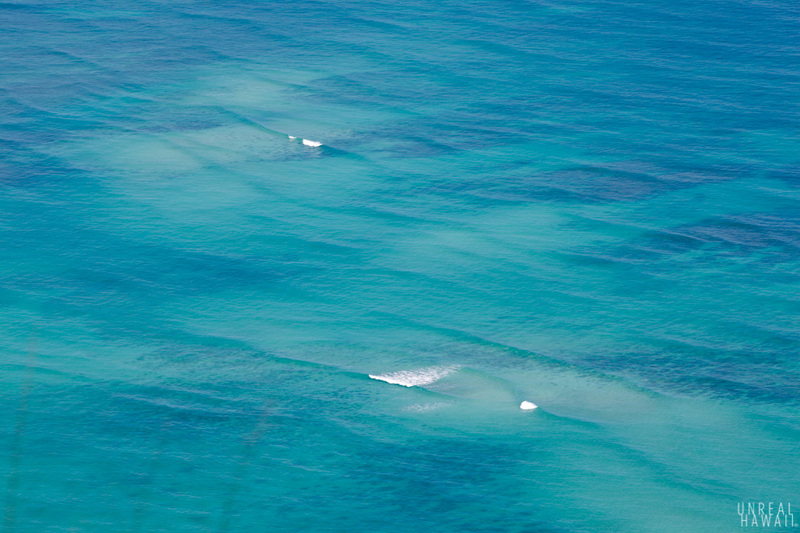 Josh and Baron paused to check out the top-down view of a crease between two ridges. 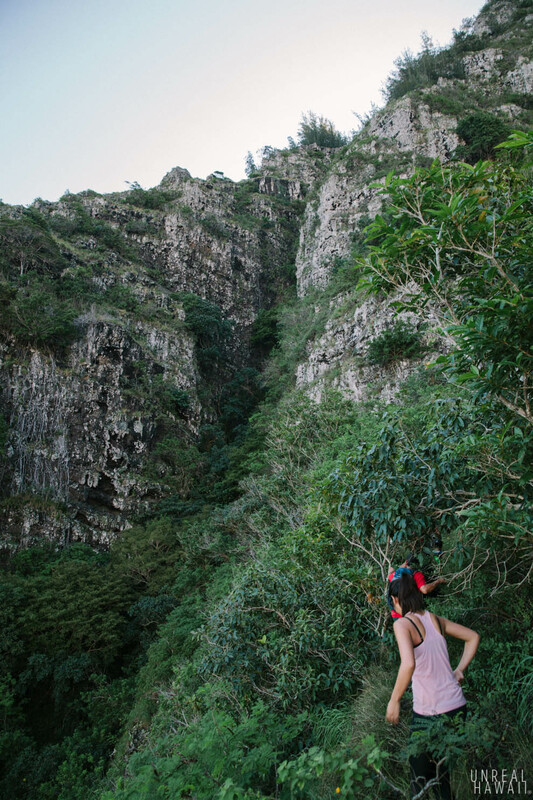 This chute runs down all the way to the forest below. 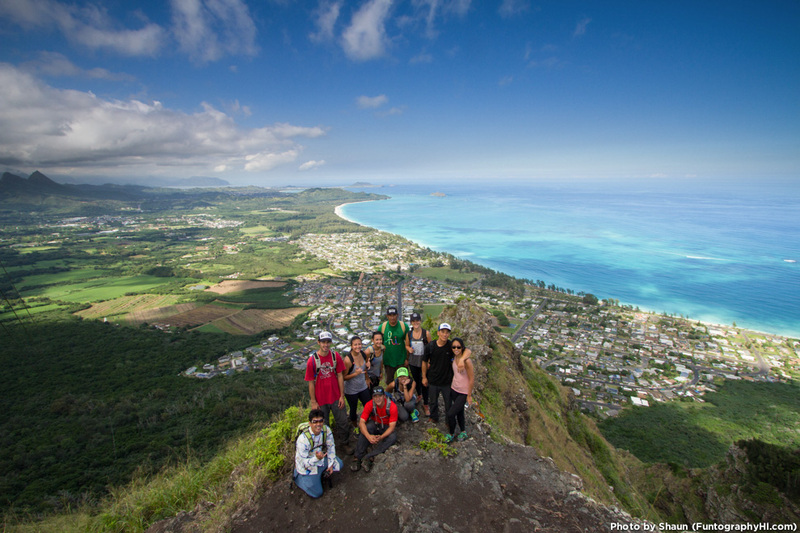 We continued along the Koolau summit. 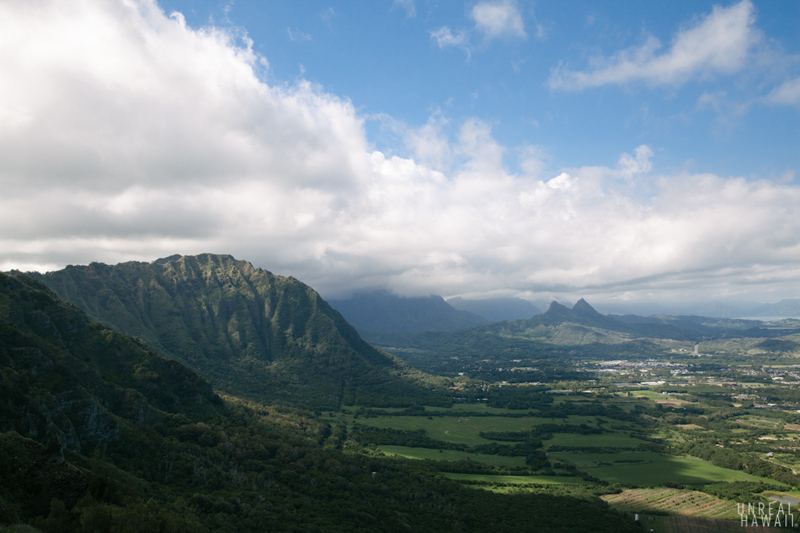 Olomana loomed in the distance. 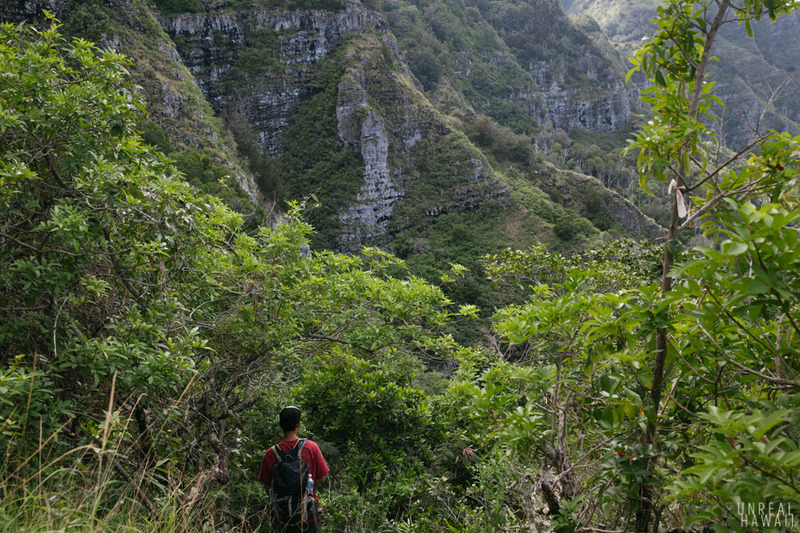 We then found the obscure ridge that would lead us back down. 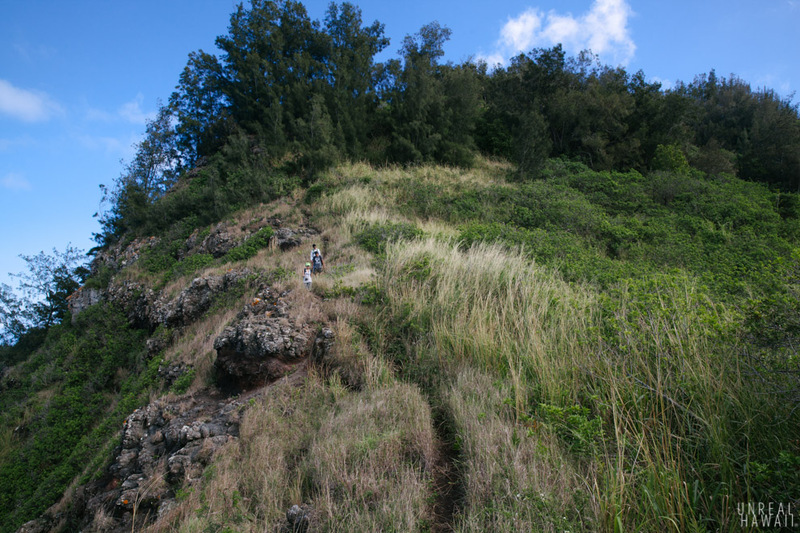 It’s a steep ridge but a trail has been cut that led us safely down. Some minor down-climbing was involved. 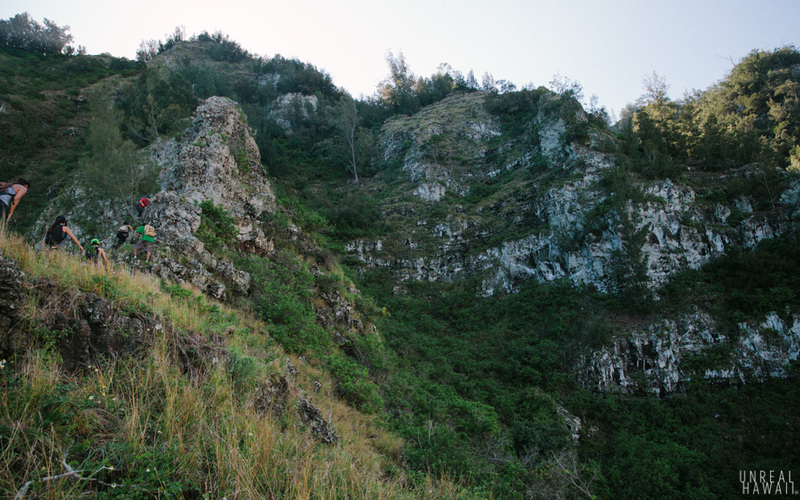 And then at the base of this windward Koolau ridge, all that was left was to find our way out of the forest. Photo above provided by Shaun. 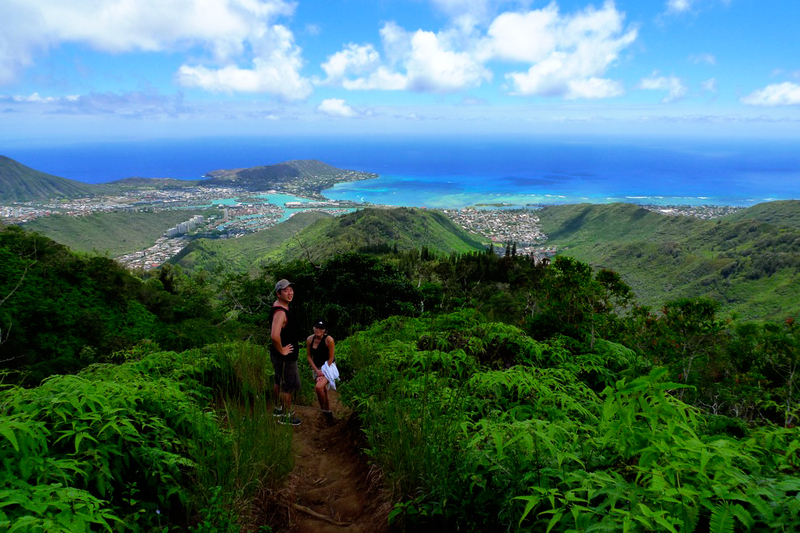 There is no official name for the hike we did on this day since this is not an official Oahu trail. 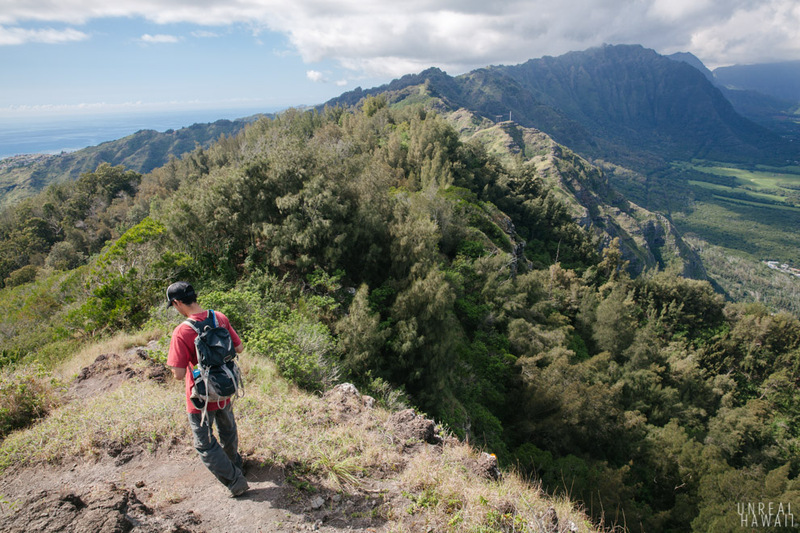 The ridges we used are known amongst avid hikers on Oahu but otherwise, the trailhead is very difficult to find and directions can be difficult to come by. 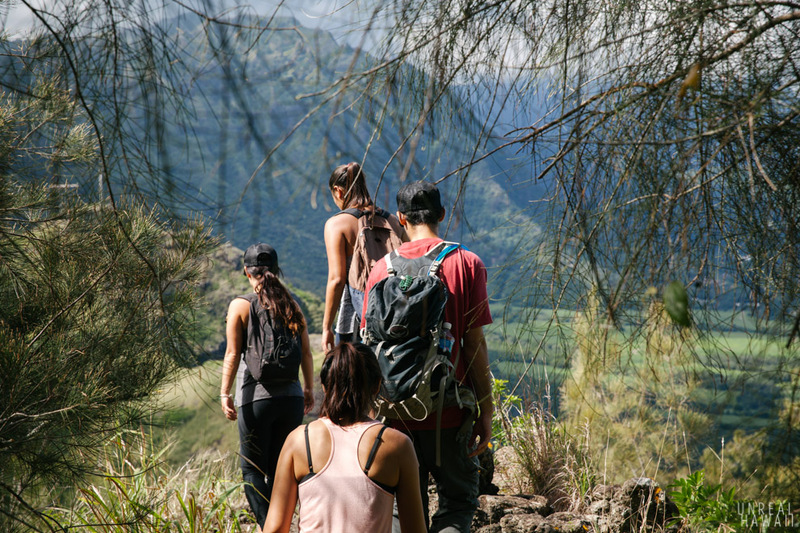 If you’re interested in this hike and don’t know someone that’s done it, you can always join the Hawaiian Trail & Mountain Club and inquire amongst those folks. 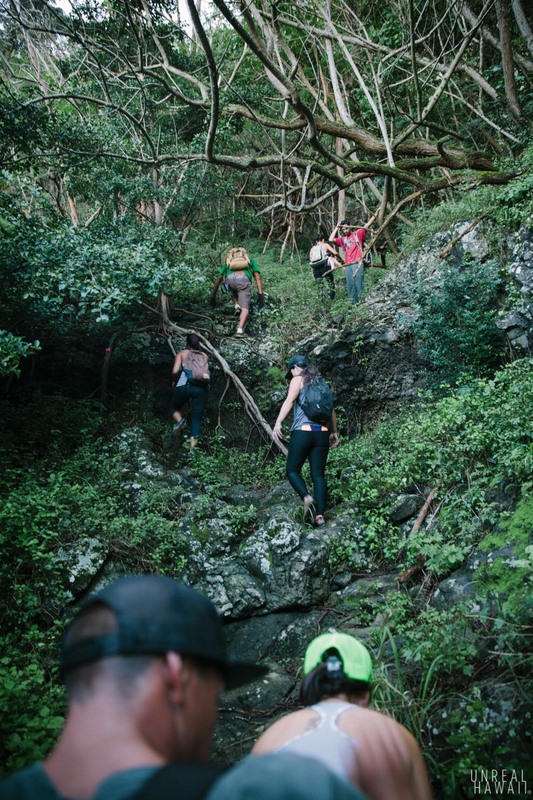 This is the nature of hiking in Hawaii. 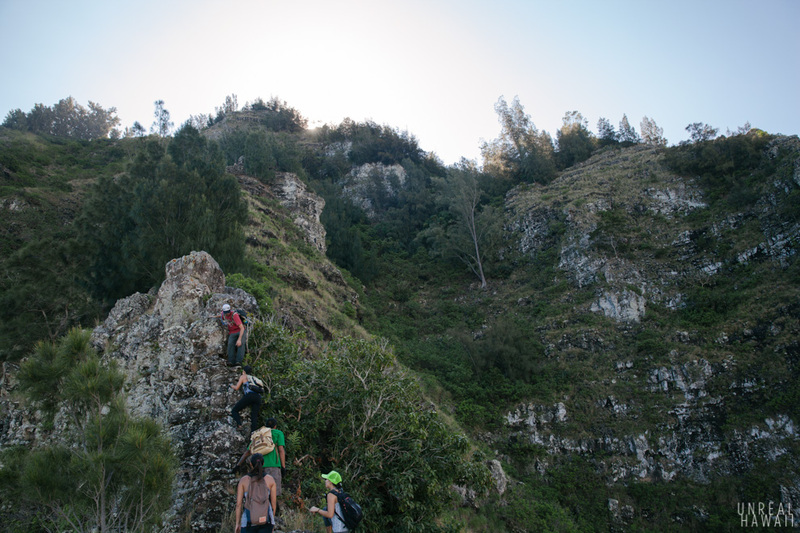 Certain trails should only be attempted if there’s someone in the group who knows the way. On this particular hike if you were to make a wrong turn, you could end up on a section of the ridge that’s nearly vertical. In our group we had two people who have done this trail before and knew their way around. We were able to follow their lead. 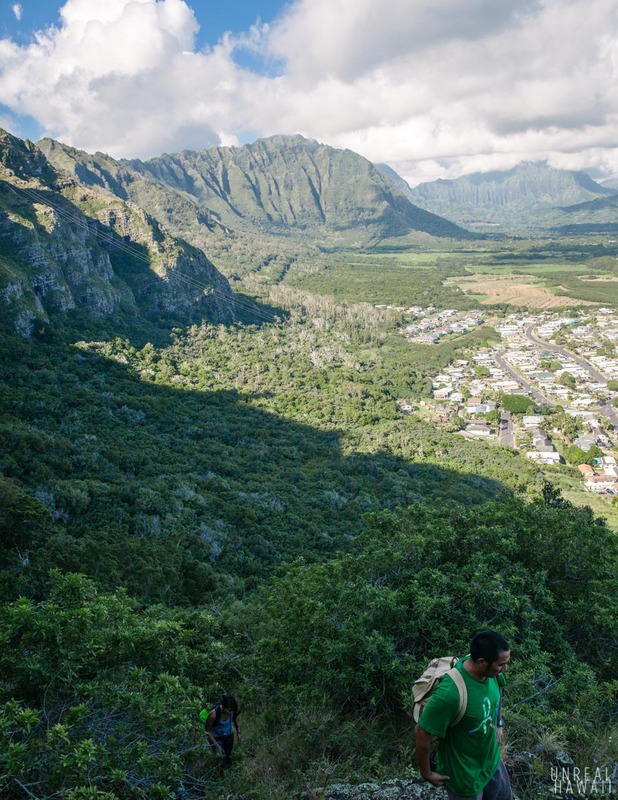 If you like Hawaii photos, check out the folks from this hike on Instagram (the folks with public profiles at least): @jobu14, @2scoopsofaloha, @karynahi, @alanap13 and @elak808. 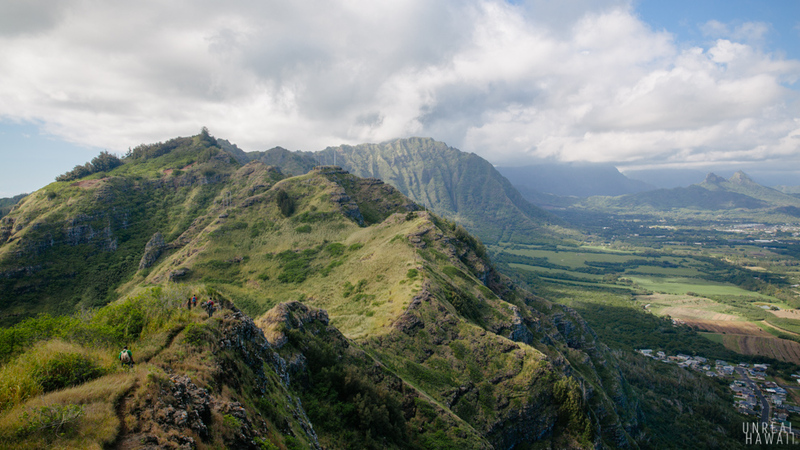 Another loop hike along the southeast section of the Koolaus (directions included): Pu’u O Kona Loop Hike. 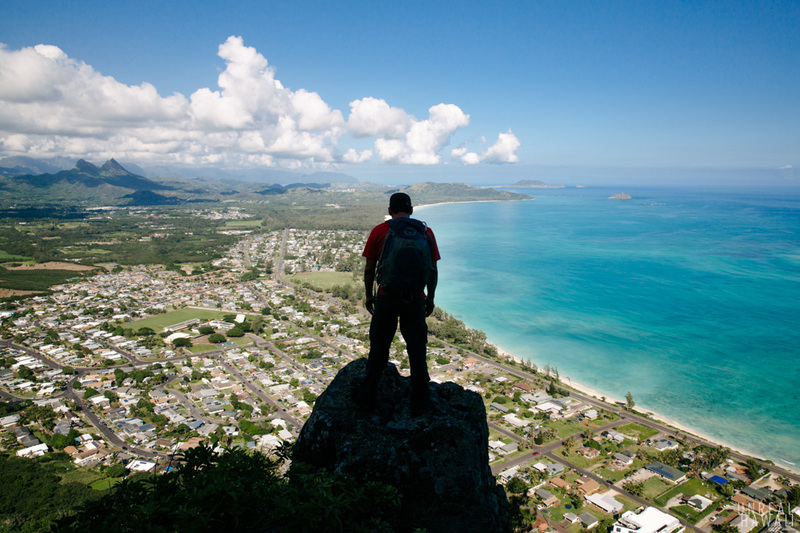 A list of some of the best hikes on Oahu. 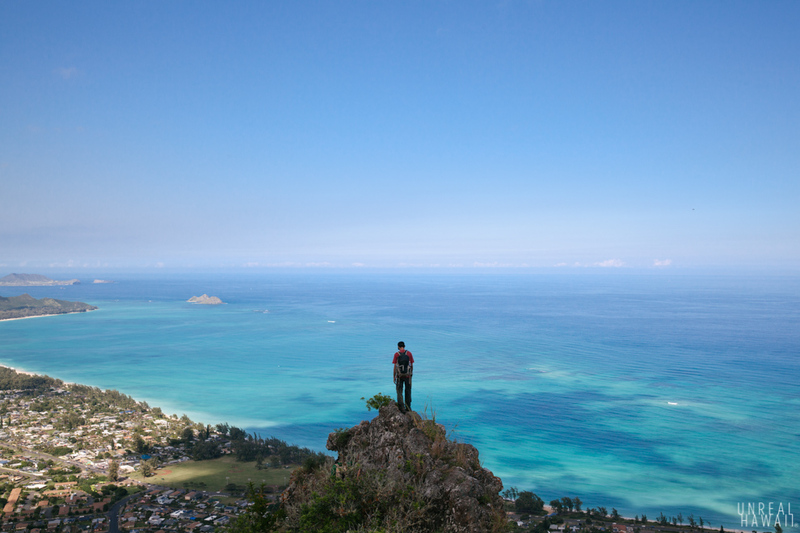 Please help preserve adventure in Hawaii. If you happen to make it out to this spot, please help preserve it by keeping the location undisclosed on blogs, Instagram, Facebook, Yelp and the Internet in general. It’s more rewarding to discover things on your own or through friends anyway right? I know people are trying to help by sharing directions and locations in social media and on blogs and in general that’s a very nice giving mentality to have. But, when you live on a small island it can actually hurt more than help. My goal is to tell interesting visual stories and share beautiful imagery. 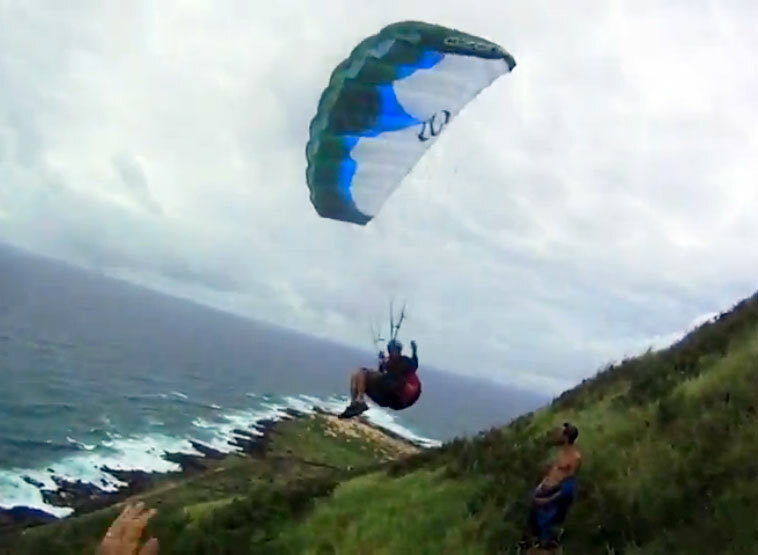 Unreal Hawaii is for inspiration but not necessarily for instruction. 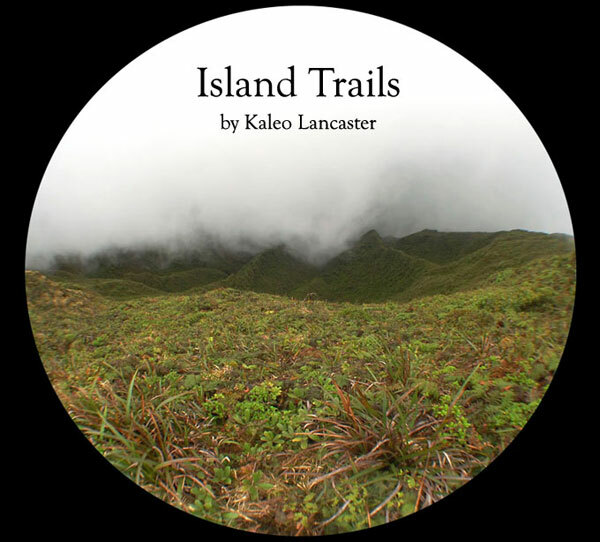 If you enjoy my website the best way you can support Unreal Hawaii is by helping keep directions and location information off the Internet. 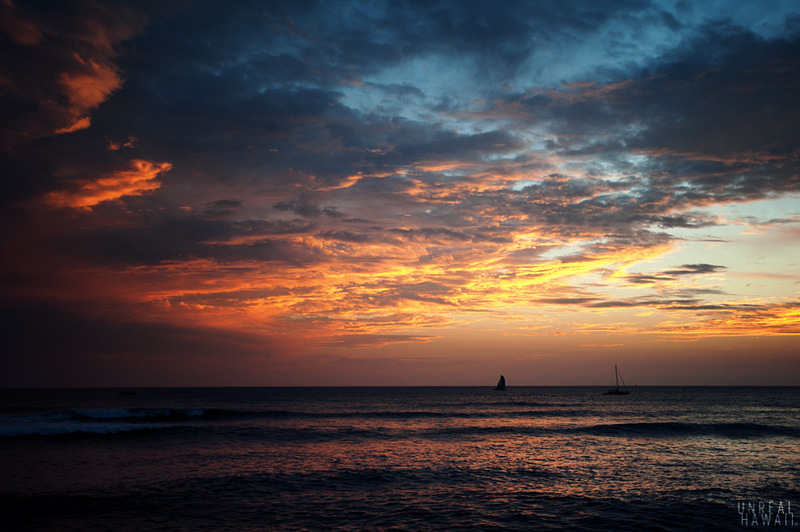 Mahalo for your help and thanks for understanding.